Most relic hunters take pride in the fact that, by recovering relics from the ground, they are preserving the items and their history for posterity. But in most cases this actually isn't true. Each time you discover an artifact and put it in your finds bag, you destroy forever its context for future generations. Displaying relics in Riker cases on your kitchen shelf or even posting your amazing finds on a blog or Youtube for all the world to admire doesn't really do much to preserve their provenance. Provenance simply means historical context and it's the most important quality of any artifact. For example, let's say you have two .58 caliber minie balls. All you know about one was that it was found "in Virginia." But the other bullet you know was recovered from the Gettysburg Battlefield. Which one is more valuable? Obviously, the one from Gettysburg which is of course why there are so many counterfeit relics or relics found somewhere else but passed off as Gettysburg finds. So you have your Gettysburg bullet and you know it was found by a farmer in 1912. As you hold this historical object in your hand and contemplate its past, don't you yearn to know more? 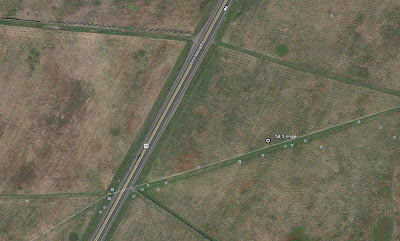 That's The Angle at Gettysburg and the scene of Pickett's Charge. A bullet found in that location would be associated with one of the most poignant tragedies of the Civil War. Recording its precise longitude and latitude for posterity would preserve its history and make it unique from every other .58 calibre minie ball on the planet. That information is its provenance and even though you (hopefully) aren't finding bullets on Gettysburg National Park, you can still imbue each and every relic you find with its own unique provenance thereby increasing its value. Before I go further let me clarify what I mean by "value." I'm not talking about how much money that relic is worth or what a collector would pay for it, I'm talking about historical value. Sometimes the two things are synonymous, but often they aren't. I personally am not concerned about the monetary value of something I find since I will never sell my relics. To me, their value comes from their historical significance alone. Reading the Official Records, soldier's letters, and regimental histories, finding where the events they wrote about occurred, and being able to locate a tangible remnant of that past is what I most enjoy about relic hunting--it's a way to "touch the past." And that's why I personally want to preserve as much provenance as I can about everything I find. The irony is that, for collector types and those who don't care so much about historical value, provenance also greatly increases the monetary value of artifacts. The bottom line is that, for a variety of reasons, every relic hunter today should log their finds with a handheld GPS. Today, the availability and low cost of handheld GPS units makes it possible for anyone with a metal detector to record for posterity the precise location of individual relics. Most dedicated units are accurate to less than 10 meters and newer Garmin units increase accuracy to less than three meters on average. The technology behind this capability was originally developed for military use but today GPS is ubiquitous and supported by practically all smart phones. That being the case, one obvious question is, why pay money for a dedicated GPS unit when you already have a phone? There are two problems with using your smartphone as a positioning device. The first is that phones don't ship with map data. So unless you have a connection to the Internet (via wifi, 3G, or 4G), or buy and download maps separately, the phone can't indicate where you are. This can be an issue especially if you're hunting in rural areas. Dedicated GPS units by comparison come with map data already installed onto the device. But even if you download map data onto your phone, it's not going to be as accurate as a dedicated GPS unit because of something called "Assisted GPS." Smartphone AGPS uses radio and wifi data in addition to or instead of satellite data derived from all 24 satellites in the GPS network. AGPS is much faster than an actual GPS coordinate calculation but it's inherently less precise and you can't turn it on or off. Some folks at Skidmore University recently tested the accuracy of their smartphones against dedicated GPS units. Their results mirror my own personal experience that, while your smartphone is great for finding the nearest Starbucks, you cannot rely on it to accurately record relic locations. Sometimes it works, but other times thanks to AGPS, it can be significantly inaccurate. I've witnessed errors as great as 40 yards which again, wouldn't really impact your walking or driving directions downtown, but it can make a profound difference in finding your way back to the precise spot where a relic was found in the field or in establishing meaningful relationships between individual relics at a site. For reliably and accurately logging your finds, you're going to need to invest in a dedicated GPS device. So let's say you now have a handheld GPS unit, how do you go about using it? I'll go through the process using my Garmin Dakota 20 as an example. The basic principles will apply to any device. First, you need to make sure your GPS is easily accessible. If you have to reach into an inner pocket or extract it from a pouch every time you use it, you're going to get tired of it and eventually you'll stop logging finds. You want to make it as easy as possible to quickly record information, fill your hole, and move on to the next target. For that reason, I recommend wearing the device around your neck using a lanyard and tucking it into a front pocket. That way, you're not going to leave the device on the ground and forget it, it's not going to be swinging around like crazy when you're digging or detecting, and it's protected from impact with your digging tool, detector, etc. For the Garmin Dakota series, you can also buy a protective neoprene case and I recommend it as a great way to protect your investment. So you're wearing your GPS on your lanyard and you dig a nice 3 ringer minie ball. Once you verify the target ID, pull out the GPS and, in the case of the Garmin, simply click "Mark Waypoint." That drops a virtual breadcrumb at the precise spot where you are standing. 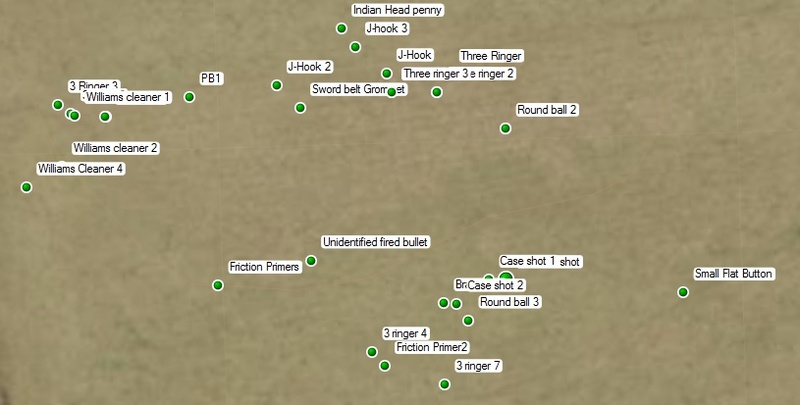 Next, you need to give the bullet a unique identifier so you can distinguish between it and anything else you find at this site on this particular or subsequent hunts. You don't want to have to type out the full description of finds in the field since that would take too long. Here's a way to streamline the process. 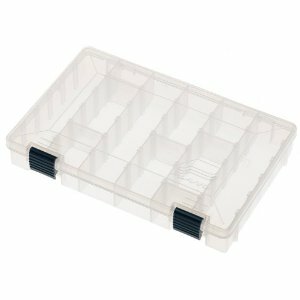 I recommend you purchase a clear plastic fishing lure box such as the one below. Then, with an indelible pen or label maker, label each compartment with a number starting with 1 and increasing to the number of compartments in your box. Now, when you find a target, simply enter it in your GPS as "3R1" for 3 ringer bullet 1 of the day, for example, and put the bullet into the compartment with the corresponding number. For other standard relics, use similar abbreviations e.g., jhk for "j-hook," gdr for "Gardner bullet," etc. The purpose of this system is to avoid having to type out everything in the field but to clearly identify every relic as it comes out of the ground. This may sound a bit tedious as opposed to just putting everything in your pocket but this process is essential to preserving the exact provenance of every target. The payoff will come when you go home, sit down at your computer, and download the data from your device into your mapping software. 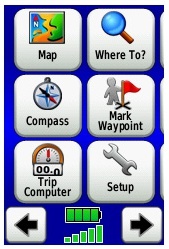 Once you have your desktop software up and running and connect your GPS to your computer via USB cable, you simply transfer all of your waypoints from the GPS to your computer. You'll get something like this. A couple of things are worth pointing out from this actual plot of two hunts. First, notice the concentration of bullets and accoutrements to the North. That obviously is a line of encampment. Knowing that enables you to make future visits to this site more efficient. It also tells you where else you might want to look relative to this grouping. And it raises questions: Were there additional regiments in the area? How far apart might they have been situated? If you find and chart one of those then you have yet more information that could lead to more promising areas to detect and a better understanding of what to look for at future sites. Now note the items associated with artillery and their distribution pattern. From this, it's possible to construct theories about the location of and possible targets for cannon in this location. That, in turn, can direct you where to search for fired artillery rounds and artifacts associated with the opposing force as well. Another benefit of having this data on your computer is that now you can revisit a site and re-live your finds any time you want from the comfort of your own desk -- even after you've "hunted it out." By using a handheld GPS to log your finds, not only will you preserve the provenance and increase the value of every one of your relics, but you'll also gain insights that will increase the productivity of future hunts. 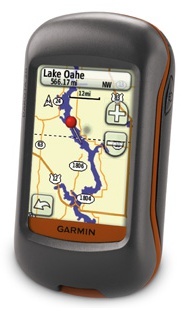 One of the reasons I chose the Garmin unit was its excellent mapping software, Basecamp. It supports Windows PCs as well as Macintosh and both versions are pretty much equivalent in terms of functionality and user interface. If you want to check it out, you can download it for free. To download the Windows version click here. To download the Macintosh version click here. Garmin also sells two products that significantly increase the functionality of Basecamp. First are their TOPO series maps that include 1:24,000 scale USGS maps. These are a bit pricey, running $130 for each region, but the detail is nice to have. The second thing they sell is "Birdseye Imagery." This is high resolution satellite imagery available by subscription that you can overlay on top of topographic maps on both the device as well as your PC. Again, it's nice to have but by no means necessary. Awesome awesome awesome post!! Thanks so much for putting this together. A few quick notes I'll throw out there. You posted a link to the Garmin Dakota 20, but the Dakota 10 has almost the same functionality and is about 80 cheaper MSRP. I'm sure you can find it cheaper still if you shop around. For folks who drop a grand on a detector, this shouldn't be an issue in the long term, especially for the numerous benefits you posted above. Second, if you're hunting in pairs (as Jim and I do) and only have one GPS unit, I'd recommend numbered survey flags. This way you can mark target locations and keep swinging, and then go back through an mark several waypoints at once. It's just a little more efficient if you only have one unit between you. Last but not least, a success story. Notice on Jim's image of "actual hunt" data the two waypoints "Case shot 2" and just to the north-east of that "Case shot 1". Well, last time we were out there I went right back to that spot and started detecting in a grid to the North and East, and found several more in line with these two. GPS logging allowed us to quickly and easily find the spot and efficiently expand our knowledge of the site. I can't think of a reason NOT to use it at a site like this. I suppose I should point out that GPS isn't perfect for EVERY site... but this comment is getting a bit lengthy, so perhaps I'll tackle that on my blog. Thanks again for posting this important topic!! Appreciate the comments, Tony. The survey flags are about $8 for 100 at Home Depot.